Vice President Joe Biden is currently under fire for adopting a drawl and telling a group of black supporters that Republicans "gonna put ya’ll back in chains." But this is not the first time the vice president has been dogged by offensive remarks. ONE. 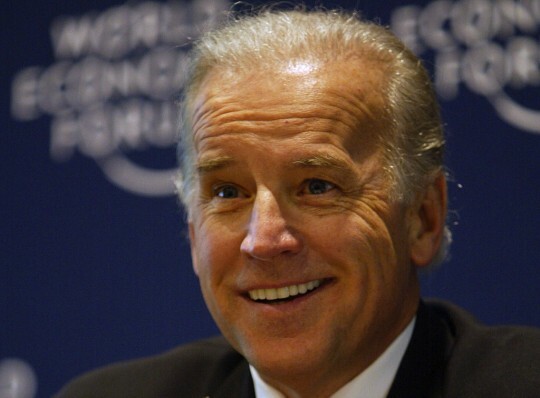 Biden kicked off his 2007 White House run by condescending to his current running mate, saying that then-Sen. Barack Obama was the "first mainstream African-American who is articulate and bright and clean and a nice-looking guy." He later apologized for the incident—but his penchant for crossing the line stuck with him on the campaign trail. TWO. Biden falsely boasted that Delaware was a slave state to explain why he would remain competitive in southern primaries. "You don’t know my state. My state was a slave state … my state is the 8th largest black population in the country," he said. Suggesting that Biden was a liability to Obama, he added that ‘you can’t continue to make gaffe after gaffe after gaffe and believe that it’s going to be supportive of what you and the president are both trying to do'. THREE. Biden’s treatment of Indian-Americans has earned him plenty of criticism. In 2006, he told an Indian-American supporter that "you cannot go to a 7-Eleven or a Dunkin' Donuts unless you have a slight Indian accent. I'm not joking." FOUR. The vice president decided to practice that accent on the campaign trail in 2012. In a speech criticizing Mitt Romney for outsourcing, Biden donned an Indian accent to mock the notion of Indians trying to speak English. "How many times you get the call, ‘I like to talk to you about your … credit card," he said, abandoning the mock accent. "It’s a little over done." Biden did not mention that the Obama campaign has spent thousands of dollars on call centers owned by companies in the Philippines and Canada. FIVE. Biden's most recent race-based gaffe, in Danville, Va., Tuesday, has increased calls to replace him on the presidential ticket. Obama is sticking by his man, defending Biden’s chain comment on Wednesday. Obama told People Magazine that Biden was referring to "you, consumers, the American people, will be a lot worse off if we repeal these [Wall Street reform] laws as the other side is suggesting." This entry was posted in Politics and tagged Gaffe, Joe Biden, Obama Administration, Obama Campaign, Racism, Vice President. Bookmark the permalink.